Greece’s Saronic Islands, sit just off the mainland and Peloponnese peninsula in the Aegean’s Saronic Gulf. Known for their beaches and ancient ruins. The crystal water, the relaxing atmosphere and the long history are the most distinctive characteristics of Saronic Greece, which have a different character each. 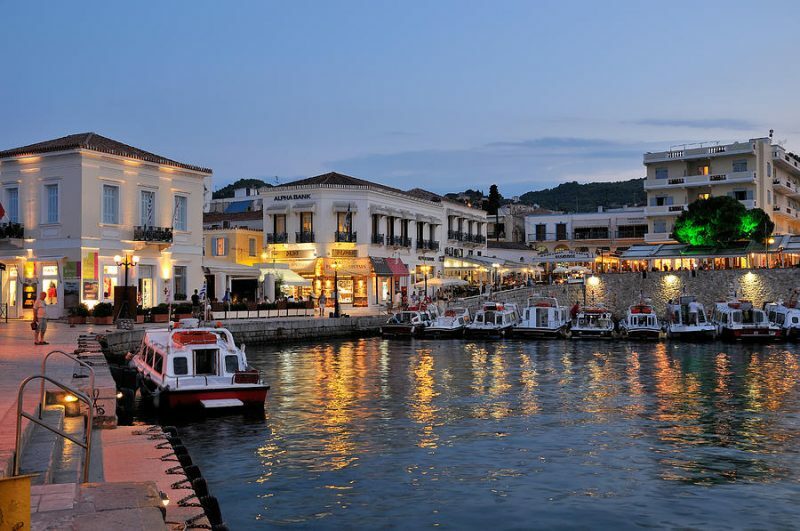 Poros is great for sailing, Hydra has amazing architecture, Spetses stands out for the elegant mansions and Aegina is ideal for the whole family. Aegina is a lovely island in close distance to Athens. A place with rich history, Aegina island was a great naval power in the ancient times and a capital of Greece for a short time in 1828. The most popular tourist places is Agia Marina, Souvala and Marathon with relaxing beaches, while very nice is also the seaside village of Perdika. The Town, with the elegant Neoclassical buildings, is a lovely place to stroll along the port promenade and the narrow streets. Quite tight mooring in the town, though once in it’s a secure marina. Make sure you lift your passerelle when off the boat, to avoid the stray cat coming aboard. 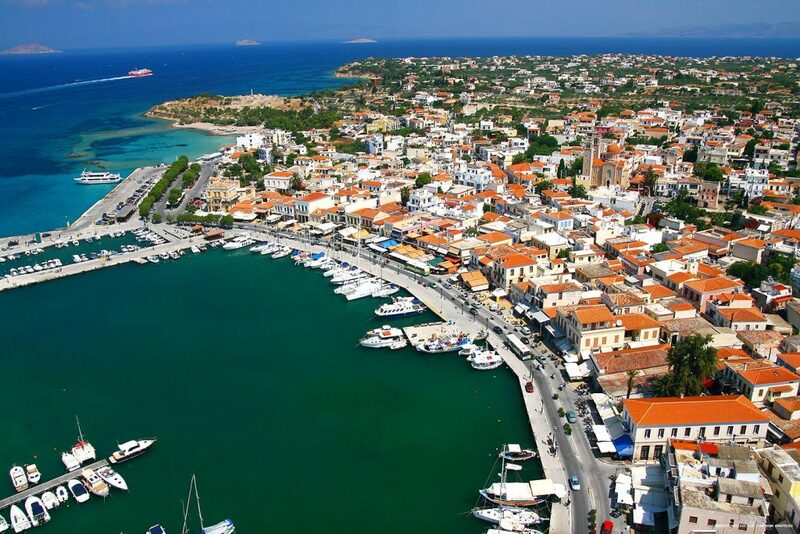 Agistri is a tiny island of the Saronic Gulf, located only a short ferry ride from Athens. Due to its close distance to the capital of Greece, Agistri island is a popular weekend destination in summer. The tiny villages of Agistri Greece and the crystal beaches attract many tourists looking for relaxing holidays. A local bus and a road train make the tour of the island leading to the nice beaches of Aponissos and Dragonera. The Island has three main villages. 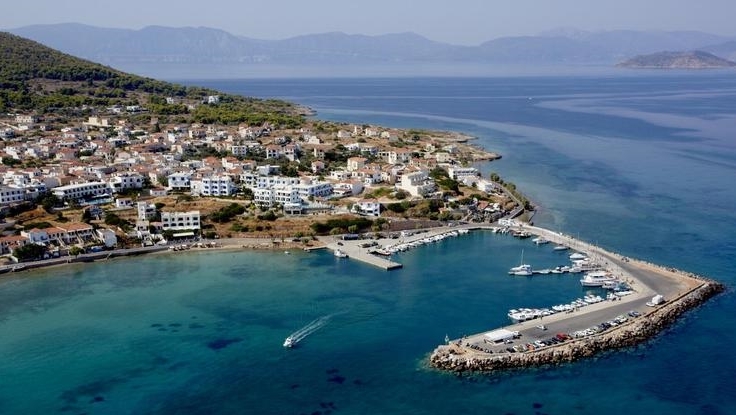 Megalochori the capital, Limenaria and Skala the most popular tourist resort on Agistri. All villages have managed to keep their traditional architecture and they are surrounded by amazing greenery. One of the most picturesque islands of Greece. The charming town amazes visitors at first sight with the elegant grey stone mansions constructed on the slopes of the hill. 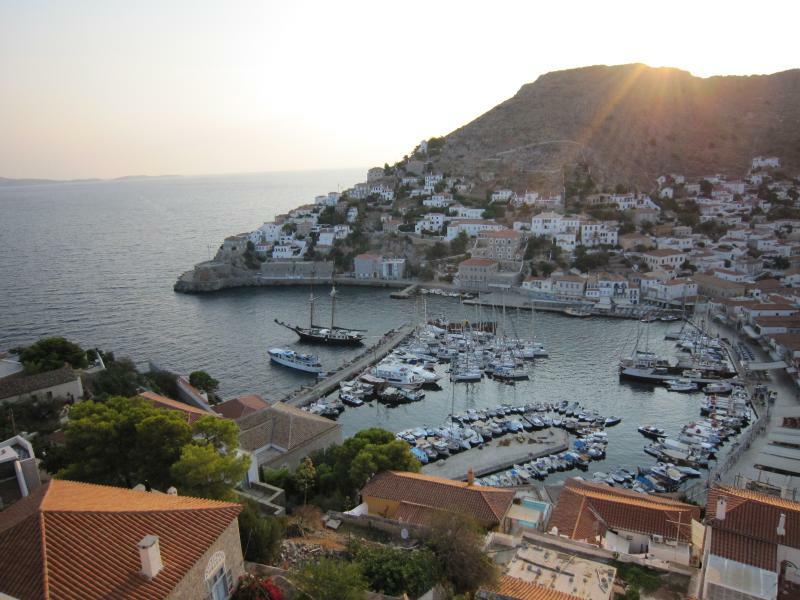 The special thing about Hydra island is that motor vehicles are not allowed and all transport is done by foot or boat. This little place is great for hiking as hiking paths lead to old mansions and monasteries in the countryside. Mooring in the Town always becomes a free for all, with boats mooring 3 or even 4 deep. We recommend mooring in Mandraki bay, just west of the main town. From here you can walk to around in less than 20min. Poros is a beautiful island with relaxing atmosphere. The nice beaches, the picturesque town and the lounge nightlife makes it a popular summer weekend destination for many. With green pine trees and crystal water, the entire island gives a valuable sense of mind and body relaxation. 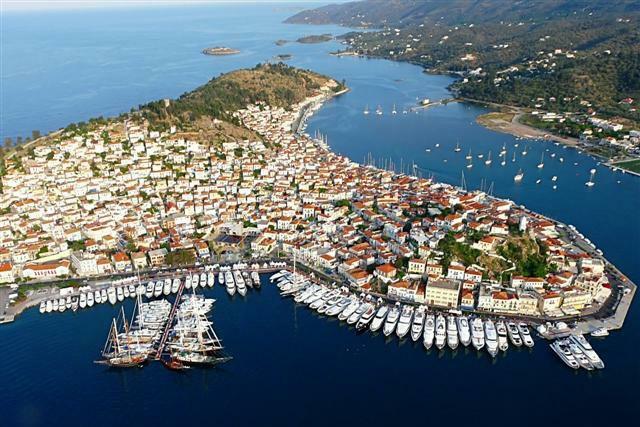 Over the last years, Poros has become a base for sailing in the Saronic Gulf. Holidays in Poros is particularly popular among families with kids who can stay on a beach studio and spend relaxing days under the sun. A selection of mooring available, both along the town front or a little further a long on a newer pontoon. Spetses is a wonderful island for short holidays or weekend break. During your holidays in Spetses, walk along the lovely sea promenade of the town and swim in the secluded beaches for truly relaxing moments. Visitors love the relaxing and elegant atmosphere, stressed by the yacht marinas, the boutique hotels and nice restaurants. Mooring available on the concrete quay close to the town, though very open to any swell. A safer option is mooring in the old harbour, with long-lining being a great option. Ermioni is a beautiful seaside village that can be a nice family destination. This is a small town constructed around the port and surrounded by lush greenery. 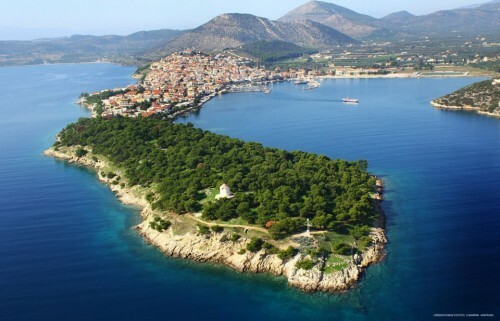 Few pebbled beaches can be reached by foot from the port of Ermioni. With both mooring available on the North and South side of the Island, it offers great protection. With it only being a 10 min walk to either side of the island. There’s a beautiful nature reserve found at the western end of the town.